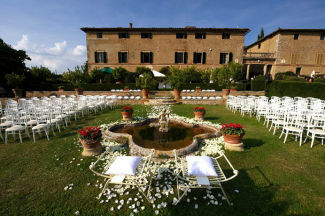 Getting married in Tuscany (Italy): 7 unforgettable venues! It is certainly not a secret: getting married in Italy is a dream for many foreign couples. The beauty of the landscape, the lure of art and history, the almost infinite possibilities of exclusive and refined location are irresistible calls for those who want to turn their wedding into a daydream. 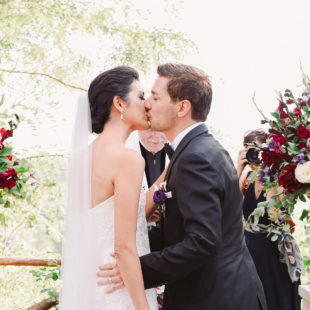 But it’s not just the “famous people” to choose the beautiful country as a theater of their own love: every year thousands of fiancés arrive within the national borders bringing along friends and family to celebrate wedding and honeymoon in one fell swoop. Of these, nearly 50% choose Tuscany as their destination. Tuscany, in fact, has all that those who dream to get married in our country search for : culture, good food, stunning scenery and some of the most exclusive and romantic settings in the world. 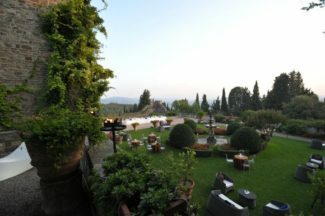 If you’ve always wanted to exchange your vows of love with Brunelleschi’s dome in the background, sipping a welcome drink on a terrace overlooking the boundless hills of the Chianti, or gait in your wedding march under the flower arch of a Renaissance house, it’s your time. And if you believe that your imagination runs too fast and that what you dream is a bit too much, be prepared to think again … sometimes reality can be far greater than imagination! What follows are seven beautiful places that will steal your heart, seven jewels chosen with care so that you can have the special day you have always wanted. 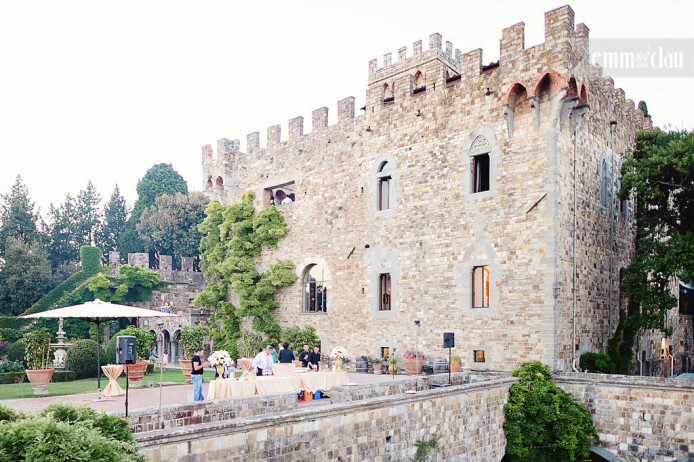 Seven unforgettable venues for your wedding in Tuscany. 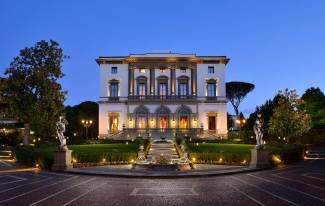 This beautiful residence, turned into a high level city resort, is considered the ” grand dame of the south hill of Florence“. Nestled in a beautiful park and surrounded by woods of plane trees, it is a short walk from the Boboli Gardens and the Oltrarno. 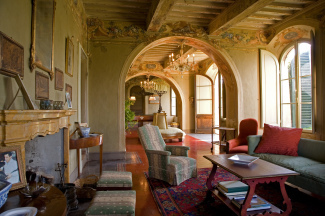 Yet the beauty of the external environment could almost pale in comparison with the internal one, where the suites and rooms are stealing the show at one another with original frescoes, antique furniture and details that make each room (46 in all) a small work of art. 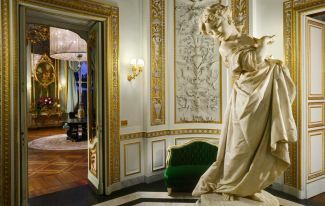 The inner halls, the hall of mirrors and the Moorish room, will remain in the eyes and memories of the guests, who can relax at the end of the evening in the smoking room sipping spirits and cigars, or pamper themselves in the spa, choosing from four treatment rooms, a small gym, tepidarium, sauna and hammam. Type of location: nineteenth-century dwelling. For whom: those who dream of an exclusive and luxurious wedding in a five-star resort. 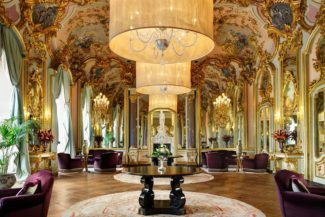 Distinguishing features: The hall of mirrors, furnished with original baroque decorations, is considered the most elegant ballroom in the city of Florence. 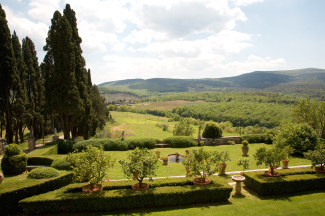 Protected by the lush nature of the hills of Chianti and a seventeenth-century tower, this old manor house has a panoramic terrace overlooking an endless expanse of olive groves and vineyards, providing a view that you will not easily forget. This detail would be enough to fall madly in love with it, but Fattoria Paterno has many other arrows to its bow: the private square of the Jubilee, a garden terrace where you can admire unforgettable Tuscan sunsets, sophisticated interior where mirrors are open to one another, creating a unique magical space that can accommodate more than 200 people. Here nothing is left to chance, every detail is sought after with meticulously attention and who was there swears that no photo will ever do justice to this fabulous place. 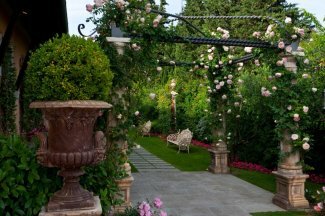 But there is one last detail that really takes the breath away in every future wife: the avenue with the flowered arch where the bride can make her princely entrance. 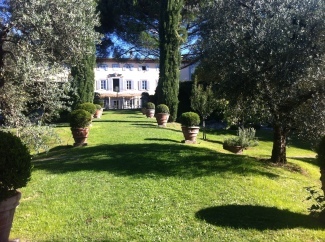 Type of location: seventeenth century villa. For whom: those who dream of a wedding immersed in the stylish and elegant ‘600 atmosphere. 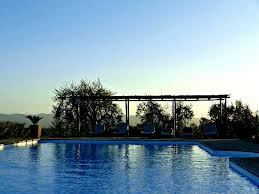 Distinguishing features: At a 5-minute drive from the villa there is a lovely village with apartments. Possibility of civil wedding in a dedicated room. 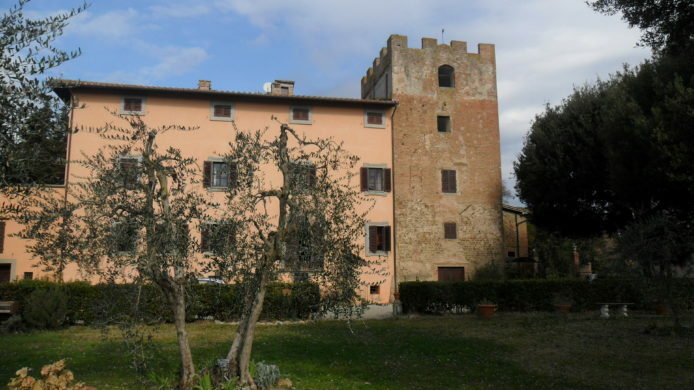 This ancient village nestled in the countryside of Siena is composed of two main buildings, the main house of the ‘700 and the old barn, and several houses divided into apartments. Do you know Bertolucci’s movie “Stealing Beauty”? Here is the environment that will be the backdrop to your wedding: forests, vineyards and olive groves as far as the eye can see, the unforgettable colors that nature assumes at sunset, the quiet of the evening, the sky that becomes a blanket of stars. The park in front of the villa with its unforgettable view will be the perfect location for an intimate ceremony, romantic and charming, the large infinity pool is perfect for the cocktail reception, dinner, but also for a party based on dances, laughs and, why not, a few more drinks, since it offers the possibility to sleep on site. The apartments, beautiful and cared for, are all different and characterized by very specific details: a small private library, a sofa facing the fireplace, a private garden. Type of location: Village of the thirteenth century. For whom: those who dream of a country and casual wedding atmosphere without sacrificing style and elegance. Distinguishing features: Own production of wine and oil. 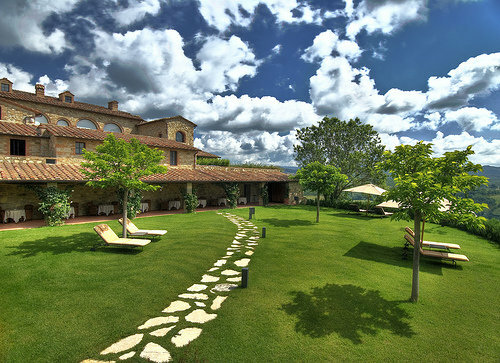 Anyone who has been a guest of Villa Poggetta has no doubt, the highlight of this property strategically located between Florence and Siena is the view, which leaves literally speechless: a Romanesque abbey, the towers of San Gimignano, the cypresses, the endless expanse of vineyards of the property. In one word: Tuscany; the real one, the one with which fell in love painters and filmmakers, poets and novelists. 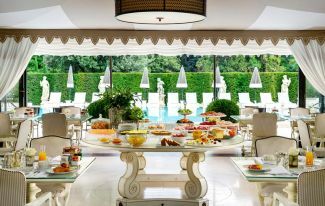 The large pool overlooking a bucolic landscape that smells of history is perfect for a welcome drink while the beautiful terrace garden is the natural setting for both the ceremony and for the wedding dinner, during which, in the charming atmosphere created by the rows of lights hanging on the trees, you can enjoy the excellent products of the structure. 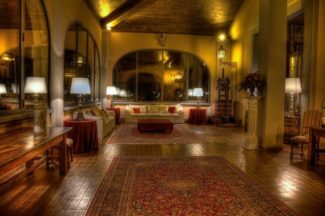 Guests can stay in the apartments of the villa, each an amazing jewel of elegance and sophistication. Type of location: Villa and village. 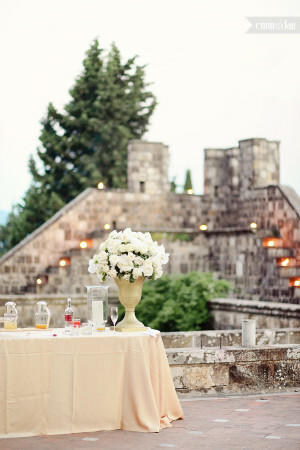 For whom: those who dream of a wedding in the most classic and authentic Tuscan style. Distinguishing features: Each apartment has a name and a special feature: vaulted ceilings, frescoed walls, private gardens. 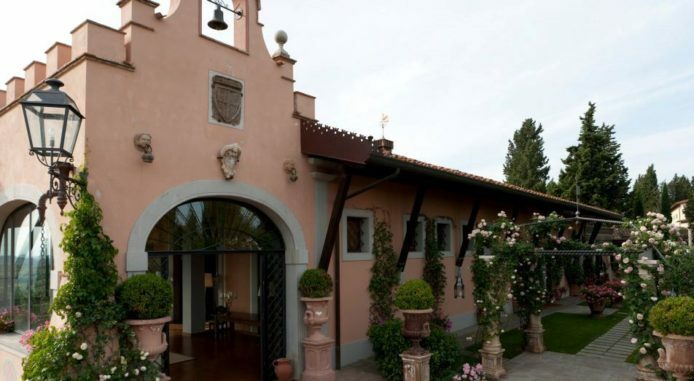 The property is located 10 kilometers from Lucca, one of the most fascinating towns in Tuscany, where the story pulsates in every nook and narrow streets suddenly open on sunny little squares, dotted by eighth century palaces and delicious cafes. 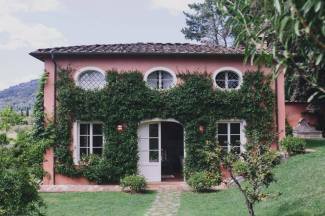 But it is not only the position to attract couples from across the Alps, because this perfectly restored old villa makes you feel like stepping back in time, until the Renaissance that made Tuscany the navel of the world. The villa is flanked by five other structures transformed into exclusive apartments, some with private pools. But even the common areas ensure an unforgettable stay: a delightful little garden in the shade of ancient trees, perfect for a drink with the guests, a beautiful lawn in front of the building for the wedding party, a pool far away from prying eyes where to relax after the joys (and hardships) of marriage. 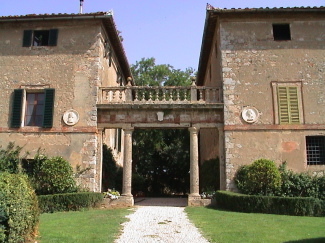 Type of location: Villa of the seventeenth century. For whom: those who dream of an elegant wedding in Art Nouveau style. 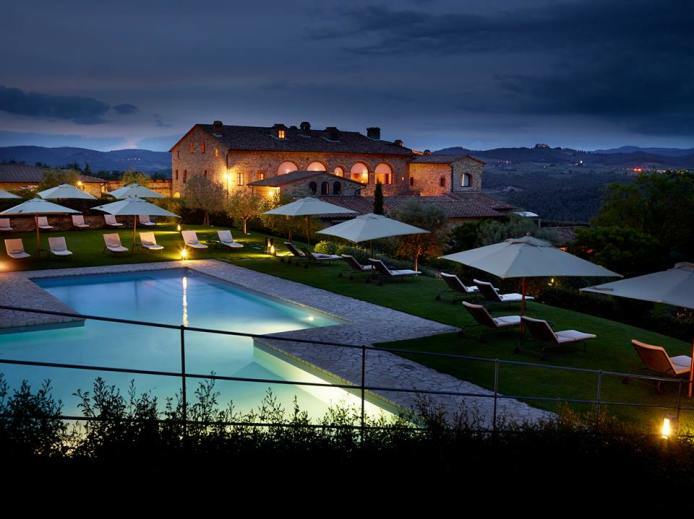 This modern hotel with medieval structure stands on top of a hill overlooking the countryside of Siena, in the heart of the Chianti valley. The element that is immediately evident is the large outdoor swimming pool (but there is also a covered one ) with chaise-lounges overlooking a postcard view. The philosophy of the owners is to ” make feel at home” their guests, in a magical place where tradition meets modern, innovation and attention to detail. 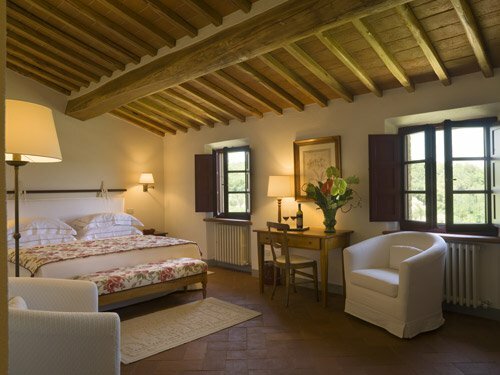 The hotel offers 25 rooms, each with different features for every need but all in compliance with the most authentic architecture of the place: exposed beams, terracotta floors, furniture and fixtures in typical Tuscan style. At guests’ disposal there is also a wellness center with sauna, bath spa and Turkish bath and a beautiful terrace perfect for a welcome drink or simply to look in the eyes of your “he” as the sun sets giving gradations of color worthy of a painting. 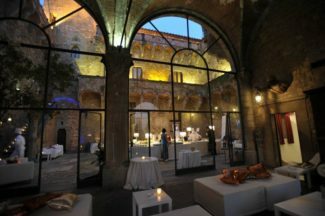 Type of location: 5 stars Hotel on the original structure of the thirteenth century. For whom: those dreaming of a wedding in a timeless place based on history and relax. Distinguishing features: It offers the possibility to rent a Vespa to explore the surroundings. 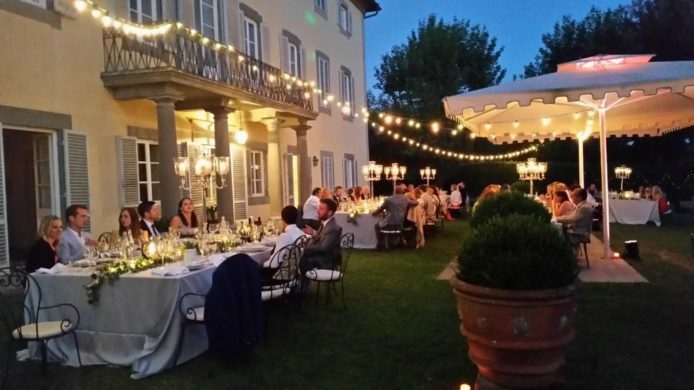 That’s the selection of my favorite locations in Tuscany, but you’ll be spoiled for choice … If in this article you did not find what you are looking for please contact me and together we will find the best solution for the wedding of your dreams! Haven’t you found the right venue for your wedding yet? 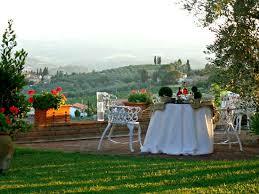 but Tuscany offers a wide variety of venues to suit every need and taste. contact me and together we will find the best solution for the wedding of your dreams!